Today we’d like to introduce you to Kwame Johnson. Kwame, can you briefly walk us through your story – how you started and how you got to where you are today. I was born and raised in Syracuse, NY with 2 brothers and 2 sisters (I am the middle child). Both my parents were educators and committed to service. I learned a lot about hard work and service from my parents. I was raised on the east side in a neighborhood that changed from good too bad by the time I was in high school. Many people don’t know that Syracuse now ranks number one for the highest concentration of poverty for minorities in the county. Growing up I lost many friends to the streets. I made my own mistakes along the way which landed me in jail at the age 17. Many people don’t know that I spent most of my senior year in high school in jail doing my school work via the mail. With the support from my family and community I was able to get back on track and graduate from high school on time and enter Hampton University on a partial track scholarship. My experiences growing up helped me to discover my passion for helping our youth reach their full potential. For this reason, I decided to leave Hampton University at the age of 20 not to become an entrepreneur but instead a social entrepreneur. I later my finished my degree in Business Administration at the University of Maryland. I went to school at night while working during the day. My passion for helping our youth lead me to Washington DC (mecca of nonprofits) where I worked in the national nonprofit sector for 13 years. Prior to joining PowerMyLearning two years ago, I was the Director of Corporate Relations for the national office of Communities In Schools (CIS). CIS is country’s largest dropout prevention organization. Previously, I served as the Director of Donor Advised Services for the Charities Aid Foundation of America. I also served as the National Director of Programs for the Woodson Center. Two years ago, I decided to move my family down to Atlanta to join the PowerMyLearning team. Today at the age of 34 I am proud to lead one of the top organizations leveraging digital learning to increase student achievement. PowerMyLearning strengthens the learning relationships between students, teachers, and families so every student succeeds. With the help of a great staff and board I have expanded our programs to serve 21,800 students and families across 27 schools, increasing program reach by 110% and revenue by 55% in less than 2 years. Not at all but I would not change it for the world :). Jail was a very hard time but also rewarding. 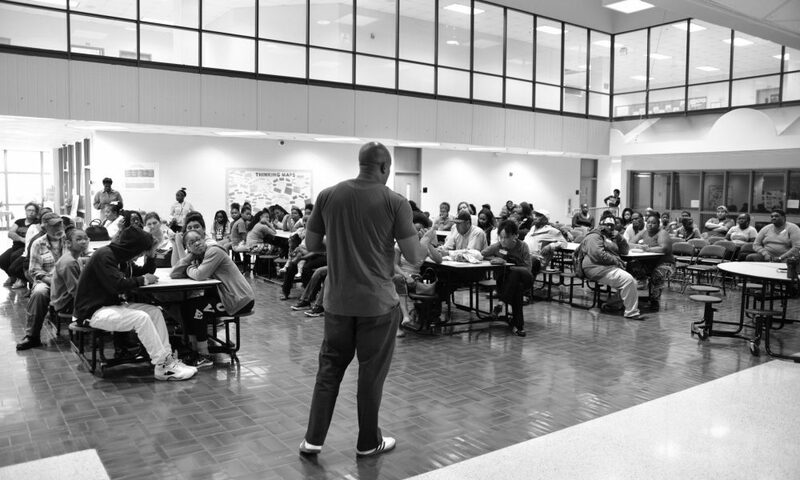 I had the opportunity to meet many young men whose stories changed my life. Many of the youth I met in jail came of out very challenging situations. I was blessed to grow up in a supportive and stable home. These kids believed in me even when they did not believe in themselves. I made a promise to them that I would 1. Never forget them and 2. Do my best to help make a difference in the world. Today I am trying my best to make good on my second chance at life and on my promise. So, as you know, we’re impressed with PowerMyLearning Greater Atlanta Region – tell our readers more, for example what you’re most proud of as a company and what sets you apart from others. Since the PowerMyLearning regional office was established in 2007, PowerMyLearning-Atlanta has served 27 Title 1 schools and 21,800 students, delivering a range of programs and services that increase family involvement, support educators with personalized learning, and address the challenges of STEM integration. Unlike other edtech outfits in the space that build algorithms to replace parents and teachers, PowerMyLearning leverages technology to strengthen the relationships between students, teachers, and families. PowerMyLearning has been the best kept secret in Atlanta for too long. I am most proud that we are now expanding our reach to more schools and being recognized as a leader in the nonprofit sector. I love how supportive everyone is in ATL. Most people who I meet are not from ATL but everyone somehow adopts the southern hospitality culture. I don’t like the traffic. Kwame is an outstanding example of bootstrap development and personal responsibility. Kwame’s leadership style is noteworthy, and should be replicated throughout the United States. I trust that he will go far in whatever sector he works.